Happy St. Paddy's Day, everyone! Hope your'e all excited to channel your Irish today, which shouldn't be too difficult with the fun activities Portland has in store. I've curated a short but delicious list of options for you below. Let me know what you've tried or some other specials you'd like to share with others. Go green! 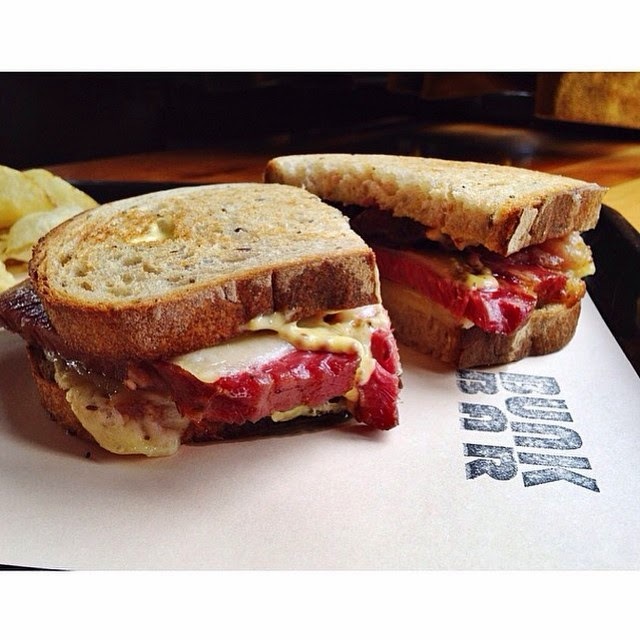 Bunk Sandwiches - Celebrating with a special sandwich option just for today, you can get your load of their house cured corned beef with braised cabbage, whole grain mustard, aioli and Swiss (pictured above). Mmmmm! Various locations around Portland. Pappa Murphy's - I can't ignore a Papa Murphy's St. Paddy's Day special, especially when it involves spinning a virtual wheel of prizes. In mine, I got a free chocolate chip cookie dough! Various locations around Portland.